In this bilingual collection of five stories, Don Cecilio tells the neighborhood children stories that make their hair stand on end. “In my barrio they told the story…” and so his cuento would begin. 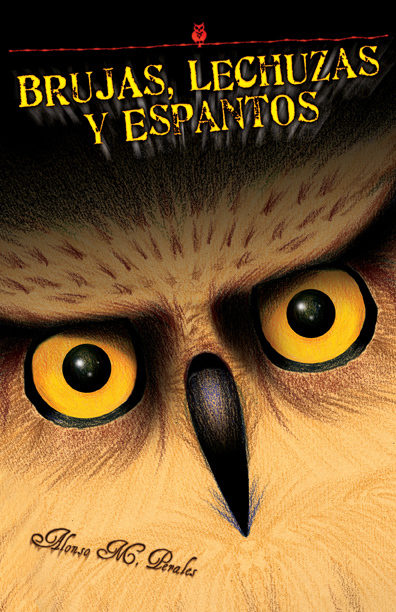 In “The Owl and the Bundle,” young Tomas disappears without a trace. Distraught, his parents and siblings look for him everywhere with no luck. Upon returning home, his father sees something curious, an owl flying above the house carrying a bundle with its talons. “Is it possible,” he wonders, “that the bundle is Little Tomas?” Could the owl have taken their precious son? ALONSO M. PERALES, a Fulbright Scholar in Applied Linguistics, retired from the San Antonio Independent School District after 35 years of service and was a senior lecturer at the universities of Quito, Guayaquil and El Salvador. He studied folklore at the Universidad Autonoma de Mexico and under the Brazilian folklorist Paulo de Carvahlo-Neto in Quito, Ecuador, and his articles have appeared in numerous journals. He obtained his doctorate from the University of Texas at Austin, and now lives in San Antonio, Texas, where he continues to write short stories and folk songs. JOHN PLUECKER received his undergraduate degree in Ethnic Studies and Gender Studies from Yale University and his master’s degree in Spanish at the University of Houston in 2007. His fiction and poetry have appeared in journals such as The Julie Mango, Altanoche, and New Texas, and his non-fiction has appeared in Clamor Magazine and El Diario de Tampico. He is the translator of Under the Texas Sun / El sol de Texas (Arte Publico Press, 2007) by Conrado Espinoza.